Home Bible Studies About Church Are You Called To Be A Pastor’s Wife? What is the reality of being married to a minister? There he is standing up on the platform behind the pulpit. Every hair is in place and impeccably dressed as he proclaims the word of God you love so much. So you decide I be going to marry a pastor just like him. Stop! Take a Breath Before You Becoming A Pastor’s Wife! The role of a pastor’s wife is in an unenviable position. It is not the place of eternal bliss and perfection that many imagine in their minds. The life of a pastor’s wife can be tough. Your pastor and his wife may look great on the outside but if they will be honest with you and allow you a look into the real life of a pastor and wife you will find out that what looks like a bed of roses is, in fact, a bed of roses with big thorns. Please allow me to take a moment to try to clue you in on things to know before marrying a pastor. #1 You better make sure you are marrying the man you love not the position you are desiring. A pastor is just a man. Yes God may have anointed him to lead a flock of His sheep, but he is still a man, and you will be faced with that strange dichotomy of seeing the anointed man of God on Sunday only to find the all too human man on Monday. He still likes his eggs a certain way, his house kept at a certain level and usually because of circumstance it has to be at a higher standard than most since people come and visit at any time of the day or night. He will expect you to be an exceptional hostess and to set a standard of dress and conduct for the women of the church. You will have to deal with the fact that he will still have human desires, emotions, and failings. He will have feet of clay. If you marry a minister just so you can have the perfect lifestyle you imagined it would be like, you will be severely disappointed. Being a pastor’s wife is hard. Contrary to popular opinion, being a pastor is not all that glamorous or comfortable. It usually is a job that asks for great sacrifice and little reward. Please consider that before you marry a pastor. #2 Make sure that you understand that when you marry a pastor, you are marrying a man who puts Jesus before you. You are marrying a man who has a call on his life. That means that where God calls he must follow. He has committed to following Jesus no matter where that may be. You may end up in the inner city, the rural countryside, or even in another country. Your lovely little suburb lifestyle may be stretched beyond your wildest imaginations. You cannot imagine how many ladies have said “I don’t think so” when confronted with this reality. They want the man of God but not the call that goes with it. If you marry a pastor many times he will be asked to get up at 2:00 am and go minister to a family in need. He may have to work a secular job and pastor a small church, and you will have to be willing to let him go when your personal time is minimal. You will feel many times that he is putting the church over you. He is not but he is obedient to the call that God has placed on his life, and you knew that before you married him. He is God’s first. 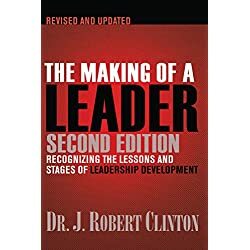 #3 Understand that if you marry a pastor that you are a reflection on him. 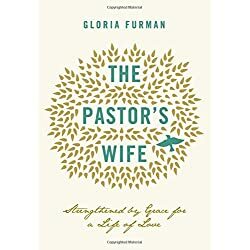 People typically love their pastor but not always do they love the pastor’s wife. You will be held to a higher standard than anyone else in the church. I am not saying that this is right, but it is a reality. What you say, what you do, how you dress, how your children are taken care of and behave, how your husband looks, and how you conduct yourself in public will all be looked at with a nuclear-powered microscope and the Hubble telescope. You are placing a target with a red bullseye on both your forehead and your heart. That is why I believe it takes a special and unique woman to be married to a pastor. It takes a woman called to be a pastor’s wife. Are you called to marry a pastor? I would encourage you before you even consider dating a pastor let alone marrying a pastor that you seriously get alone with God and seek his face about this. I believe that where God guides, He provides. I believe that if He calls, then He enables. 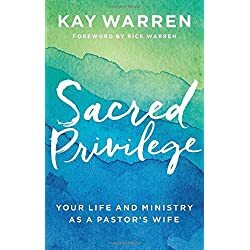 So if you are called to be a pastor’s wife, you will be able to handle the immense challenge and responsibility before you. You can do all things through Christ who strengthens you. The cost is high but the rewards will be higher. “Well done good and faithful servants. Enter into your rest”.